Like so many, this year was a challenging time for me. There were a lot of significant changes and tests in my life and it can be overwhelming. My response was to try and develop some new strategies and decompress. 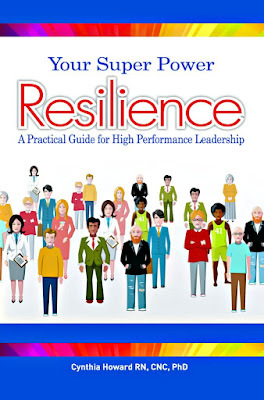 I was thrilled when I found the book Your Super Power Resilience – A Practical Guide for High Performance Leadership by Cynthia Howard RN, CNC, PhD. This book was very instrumental in giving me some new tools and moreover, as a leadership blogger, I was thrilled to pick up some fresh leadership ideas and methods. Leaders not only lead others, but themselves. Life moves fast and so many of us are trying to catch up and stay afloat. The result is increased daily stress, the inability to think clearly, and a kick to our confidence which in turn impacts our leadership. Cynthia skillfully shows us how to grow our resilience to fight stress so we can lead with more energy, face our inner fears and criticism, and have results. This is a book right up my alley! After sharing the most common leadership mistakes which plague us all, Dr. Cynthia quickly introduces resilience and how it is instrumental in being successful. “Resilience is the ability to bounce back, recover from setback, embrace challenge, and adopt to change”. Leaders need to change the way that we look at issues and change our existing mindset to think more strategically and really change how we see the world. Becoming more resilient calls on learning more about yourself and using your strengths to think more strategically so that you can get back on track setting priorities to accomplish goals and support your team. I’m thrilled to see how business has finally embraced Emotional intelligence. I started my career in the formal banking world and EQ was a long time coming! Dr. Cynthia’s quote “There is an art to being you. Learn to engage your EQ. Be present and authentic. With this attitude toward yourself, you will have the right attitude toward others” really resonates with me and reflects my own values. Emotional intelligence has become a critical skill and tool for leaders the past several years. EQ successfully guides our decisions and how we relate with our people and approach growth. Dr. Cynthia shares some critical foundations of EQ and how to strength both your own, and that of your people. She shares real life scenarios of EQ in play and one is quickly reminded of how it can impact organizations. The meat of the book focuses on Dr. Howard’s C.A.R.E model which truly is a four step model to enhance your life, strategic thinking, and high performance. This model is one that you can incorporate into your daily routine and she offers some effective insight and suggestions to guide you. I’m fortunate to have 4 wonderful intelligent boys. One thing that I have always preached to them is that intelligence is only good as long as you use it. Some of the most successful people are not geniuses – instead, they have grit and perseverance. . Most importantly, they have learned to examine themselves and build resilience so that they can focus, strategize, and have an impact without being sidelined by poor self-confidence or misdirection. Are you ready to become more resilient? 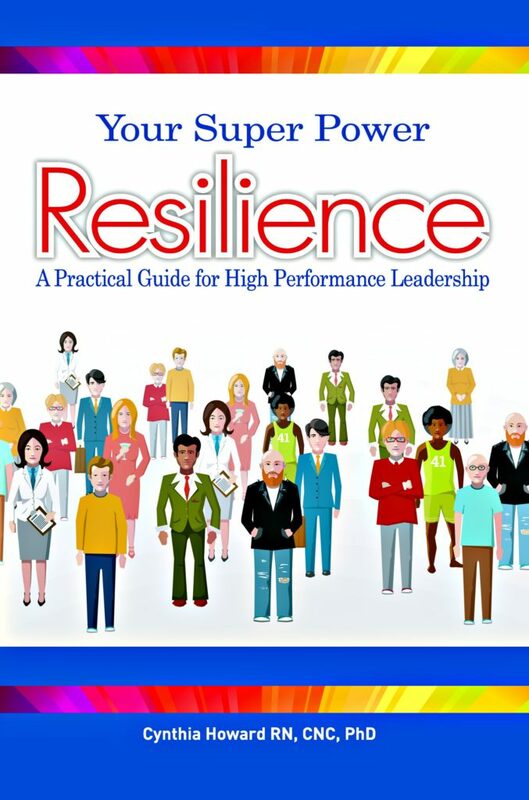 Please continue your growth and pick up Your Super Power Resilience – A Practical Guide for High Performance Leadership today! Conversation and communication have taken a hit by new technologies that are literally in our faces on a daily basis. Young students are learning on tablets and slim laptops rather than by pencil. The art of cursive, spoken, and written communication is starting to become more antiquated and shorted into sound bites. Communication is a key driver for effective collaboration and strong teams. With the world changing so quickly, we need to step back and converse differently and have more effective communication strategies. As leaders, we know that some conversations are tough, intense, and downright intimidating. We are faced with conversing about uncomfortable matters, issues that may blow up, and ideas that may lead to mass dissent. These talks need some planning and our ability to be open, have self-awareness, and the willingness to agree on solutions. The new book Oasis Conversations – Leading with an Open Mindset to Maximize Potential by Dr. Ann Van Eron addresses these finer points of leading effective conversations that have impact. The way that we communicate has changed over the years. I remember being a young manager and the attitude was “do it or else”. Now we connect more authentically and seek to convince people to jump on board with an idea. Managers strive to be more influential and collaborative on everyday tasks and large projects alike. We open ourselves up more and try to lead with open integrity. Strong communicators are resilient and don’t react to the judgment of others. Moreover, effective conversationalists remain curious about people, take the time to converse, listen more effectively, and keep dialog moving along. Are your conversations fruitful? Why an “oasis” conversation? An oasis is obviously a gleaming lush area in a remote place. Ann is referencing “something that provides refuge, relief, or pleasant contrast” – Merriam-Webster Dictionary. I would love all of my conversations to be free of conflict or misunderstandings. An “oasis” conversation brings to mind an experience of calm, collaboration, and peacefulness. Dr. Van Eron offers a 5 step process for creating the perfect environment in which to bring collaboration, come to agreement, find solutions, and empower those involved. By inserting these principles into your next conversation at work or home, you will have more effective and productive conversations that leave everyone feeling empowered and involved. O – OBSERVATION: Slow down at look at the data and don’t jump to conclusions. Reduce your defensiveness and try to blur your own background and influences to taint the conversation. A – AWARENESS: Be mindful of your assumptions and manage your emotions and personal views. Remain open to interaction by suspending any judgment. S – SHIFT: Step back from reacting and shift to being open to other possibilities. This may be very challenging to do. You may need to count to 10 or bite your lip. Start practicing positive intent and keep your calm. At all costs, keep your strategies to yourself until you can converse. I – Importance: Examine what is important to all those involved and create a true “oasis” of understanding and agreement. Don’t just jump to conclusions and try to rely on these 4 skills – mirroring one another, empathy, ask empowering questions, and notice the type of interaction you are having (telling, selling, and getting). S – Solution: If you guide your conversations including the elements above you will successfully identify options, strategies, and agree on solutions. Written and spoken communication is the key to success in any interaction. Look how often spouses have disagreements over a simple lack of words and because we can’t read one another’s mind. Notice in your next meeting how easy it is for information to be misunderstood or underrepresented due to lacking communication of details or key points. Negotiations and relationships break down daily because of blaming and conversations that go off tract. 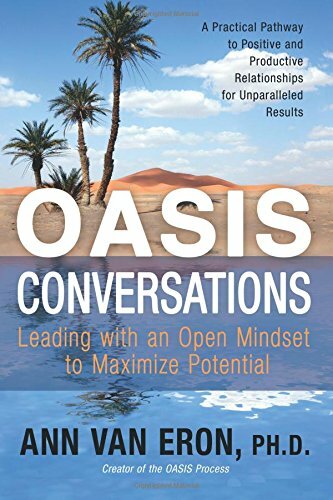 Oasis Conversations offers a clear guide to ensuring that your next conversation is solid, opening, lacking conflict, and brings joint agreement on solutions. Who doesn’t want that? Dr. Van Eron adds additional meat to this process including case studies, personal experiences, the impact of brain connections on each element and questions for leaders to seek personal answers to. These elements help roll the Oasis process into a simple and effective tool that can be utilized in any situation. Some leaders keep a card with the word “oasis” written on it as they hold critical conversations to keep their thoughts on track. Dr. Van Eron has been using this tool for years with a variety of organizations and it works. Who doesn’t need another tool in the leadership toolbox? Oasis Conversations is an effective guide to use in all aspects of your life. Moreover, Dr. Van Eron’s book is applicable to people of all ages and across the diversity of the paths that we all walk every day. Are you ready to create your own “oasis” during your next conversation? Conflict without Casualties by Nate Regier Ph.D.
Not many people truly enjoy conflict. Conflict seems to bring out the worst in people and so many of us don’t know how to react to it or realize that it can be used as a catalyst for change. Growing up, I never liked conflict and tended to morph into the background whenever it reared its ugly head. As I jumped into the real world I ran smack into conflict coming at me from many directions. It was a changing life lesson and I had no choice but to swim with the sharks. Ultimately, I grew to embrace conflict to as a means to unite people and work on problems. Surprisingly, this little conflict avoidance girl was a dynamo at actually stepping in to resolve conflict with a clear head and open heart. 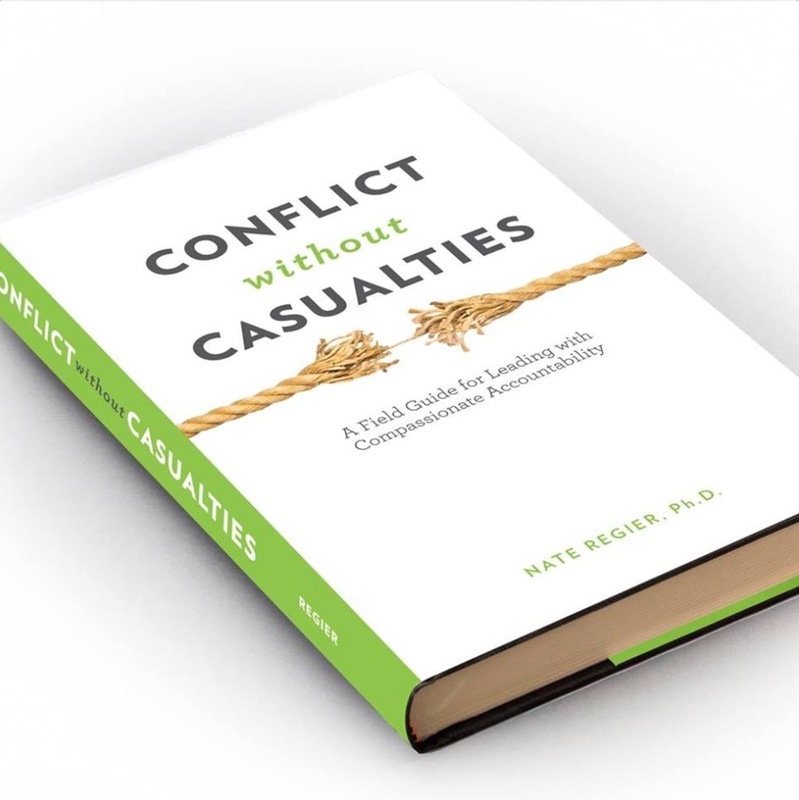 When I had a chance to read the new book coming out soon Conflict without Casualties A Field Guide for Leadership with Compassionate Accountability by Nate Regier Ph.D. I rejoiced. Conflict doesn’t need to be a dirty word and we should snap to attention when it rears up because it means that people may be passionate about something and willing to stand up for what they believe. Nate shows us how conflict should be viewed as a creative force because there is often so much energy behind it. Nate asserts how conflict can be turned around and utilized to grow innovation, build trust, and further engage people. His views will help you change your perspective on conflict, people, and how it can be used to make us more accountable. Conflict without Casualties is an effective tool kit for managing conflict. Nate introduces us to the nuances of drama through the “drama triangle” resulting from conflict and the roles people take on in the process. People may play the victim, rescuer, or persecutor, none of which are healthy. Drama is expensive in monetary and emotional terms. We have all been caught up at one time or another in drama games and they can bring down people and organizations. 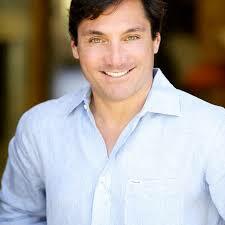 Drama and conflict can be negated through a compassion process which Nate introduces as the “compassion circle”. We turn conflict on its head by being open/vulnerable, resourceful/generate options, and persistence to bring about change. The cycle enables us to balance compassion and accountability while turning conflict into a growth experience of change for teams. Compassionate leaders should focus on this model when working through conflict by starting by asking if there is true openness and making an assessment. If so, move on to making movement on ideas and moving forward. Only then can leaders encourage others to remain persistent in making change or progress. Compassion without Casualties leads us through the critical process of getting beyond what I call all of the “junk” in the workplace or even in your own home. Nate encourages us to look at conflict in a new way and to actually embrace it because it can be turned into a positive. He never states that it will be an easy path but in the end it brings us results and growth. You will learn that “Compassion balances caring, concern, empathy and transparency with boundaries, goals, aspirations, and standards. It’s the engine that turns conflict into a creative force”. So how can you use Conflict without Casualties in your own world to grow? Following are some insights to encourage you to embrace conflict, not run! We have so much conflict swirling around us every day and it really is unavoidable unless you live a cave. Don’t run from it. Open your arms and heart to using conflict to solve problems, develop people, and bring more compassion to the negativity in the world. Conflict without Casualties should be your go to bible for turning conflict upside down and bringing back compassion to the process. When we are young we tend to take life as it comes and believe that we are invincible. As we mature, take on more responsibility, and have families, our perspective quickly changes. We worry more about the economy, pay attention to international strife, and start questioning violence and unrest. As I have grown older I have started to look at the world through new eyes. I look back at my past and how it shaped me. I better understand how my parents fighting and divorce impacted me even though I was older when they separated. I have more clarity around why so many people who are empty, desolate, and come from violent pasts act the way that they do. I know that I am not alone. 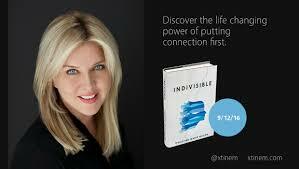 I recently read the new book Indivisible by Christine Marie Mason. When I read the back cover I was intrigued because I saw a bit of myself in her story. Christine shares a very personal journey with us and really opens up about her life and what led her to embark on honest and unusual searching. I think that you will see yourself throughout Christine’s journey and if not, you will begin to look around your world and ask new questions that may not have come to you before. Christine Marie Mason is a successful leader and community builder. When you read her story, on the surface she seems to have everything and has made success look easy. So many of us may appear to others to be just like Christine yet, there is so much below the surface. Christine worked hard for her success and encountered numerous obstacles, tragedies, and pain along the way. Her life was never easy. If we look deep into the eyes of other people I guarantee that we would see the same experiences in those eyes. We may see pain, hurt, and strength. The crux of Christine’s pain happened early in life. Her mother was murdered when she was a young girl and it changed her forever. She felt abandoned, disconnected, alone in a room of people, and unsure of herself. A part of her was gone that couldn’t be replaced. The loss stayed with her for decades. She eventually turned to healing herself by immersing herself into the lives of others and building new communities in various parts of the world. Christine became a master at bringing people together and connecting so that others could heal as well. In a world of violence, loneliness, and technology where our relationships are online, Christine stepped up to make a difference by connecting. Christine points out how human history and changed and how we connect is so vastly different. Technology has changed us. As a leader in the technology field, Christine is a rarity. She shares how she yearns to help “make changes to create change in our own lives and in our immediate surroundings”. She wants people to reconnect and starts down the path of healing, connecting, leading, and asking questions like how can we live and work better? How can we connect more? How does community form? What possibilities are out there? Christine does more than just ask questions and ponder change. She travels the world jumping into new experiences and even has strangers move in with her for communal living. What she learns and the experiences she enjoyed are eye opening. Following are some of Christine’s adventures, most of which would intimidate the strongest of us! All of these unique and meaningful experiences gave Christine the healing and peace that she sought. Her journey cleansed her soul and opened her mind up to new possibilities and refreshing ways to impact others. She learned more about human experiences and how they are so different across cultures. Her journey is about self love, community, human connectivity, and mindfulness. Indivisible reminds us that life’s experiences enable us to grow and understand our place in the world. Experiences open our eyes and our hearts. They can also heal. You don’t need to leave your comfortable chair to experience a journey to open your mind or find some inner peace while questioning our modern world. Snuggle up with Christine Marie Mason’s book Indivisible and join her on her quest around the world and in different cultures to connect, grow, and bring about change in your own life. Millennials. As a management leader, I have to admit that I’m a little weary of hearing about them. Every time I turn around I hear about what they want or don’t want, how they act or that they don’t want to work, their phones are hinged to their heads, and how they are free spirits and want to work when and how they want. It’s a good thing that the Z generation is up and coming so we can hear about them instead right? Don’t get me wrong, I parent some millennials and from experience I don’t believe everything that the media spits out. I’ve had some personal experience working with millennials, both positive and painful. The majority are focused and determined to make a difference while being key team players. Looking back, they represent what I wish I was when I was growing up. They have fresh ideas and are truly committed to having an impact. They are focused on the external, not just on themselves. Then there are the others – the kind that you tend to read more about. I have worked with mixed teams and too many of my days were spent hearing about having fun, drinking, the best eateries, fashion, bars, and drinking again. Sadly some of them needed “parental” management guidance and they only focused on the task at hand, not the big picture. Did I mention their interpretation of a dress code? As if you can’t tell, I admit to some millennialism biases. I grew professionally in a slightly different time and within the confines of the uptight banking profession. My perspectives are a bit different but I love change and am open to it. As a manager, I feel that I lack some tools to lead this generation and admit that we need to better understand each other with all of our faults and strengths. I needed a millennial “how to” manual. Along came Chasing Relevance – 6 Steps to Understand, Engage, and Maximize Next-Generation Leaders in the Workplace by Dan Negroni. Finally, a book that speaks to all the stereotypes regarding Millennials (and me!) and how to foster their growth for future leadership opportunities. Dan is a realist. He parents millennials as well and his word description and images that people have about millennials made me chuckle. Clearly, he also treasures them and realizes that they are our future. There is a gap between our generations that isn’t going away. If you aren’t managing or working with the millennial generation now, you will be. Today’s leaders (X generation for the most part) need to bridge the gap with the Y generation to model, mentor, and challenge them to lead. Guess what? It’s kind of our fault that the millennials are well, millennials, because it’s how this generation was raised. Everyone received awards, some of us helicoptered our kids, they learned impatience, and they became hooked to technology. Hmmm…. We can do that right? Effective managers have been doing this for ages. Not so fast. Dan encourages us to first look inward at ourselves and “work from the inside out”. In short, in order to empower others we need to empower ourselves first. Only you can control you and you need to understand yourself first before you can serve or impact others. Uncover your true strengths and weaknesses in order to become a better you, “relish” who you are to share with others, and make connections bring results. After reflecting on these areas and really doing some homework on ME, I felt refreshed because I understand myself more clearly and better understand what I can bring to the lives of others via leadership or through mentoring. Dan led me down a path to put into action what I learned from inside me to influence those “outside”. He has an integrated 6 step plan that effectively uses what you’ve learned from your inside reflection to help address any disconnect that you have with the millennial generation as a leader, mentor, guide, or teammate. The B.R.I.D.G.E plan not only builds on developing and building relationships, but generates increased engagement, empowerment, results, and innovation. What more could we ask for as leaders? With the right tools, we can build strong teams and bridge any gaps. Part One and Two of Chasing Relevance eloquently come together to form the perfect sandwich. This sandwich consists of the first part of the book which is thick with individual learning and insight. A whole lotta meat and cheese. Part two has all of the best condiments and toppings that bring the sandwich together. The condiments are what “make’ the sandwich and make your tummy grumble. You can’t have one without the other. What an incredible sandwich Dan presents us all with. At the beginning of the book Dan admits to once having his own thoughts about millennials and promises to help change the reader’s perspective. He was successful in doing so with me. I better understand the gaps between our generations and leadership styles and why we all act like we do. I better accept that my generation had a hand in “making” millennials. Thus, it is up to me to do what I can to be a mentor and coach because so many millennials haven’t benefitted from strong or consistent guidance. Hence, their behavior is different and they really need us for leadership and guidance. Chasing Relevance engaged me from the first chapter and I literally read it in two readings. I found myself nodding in agreement while reading , yet really pushing myself to agree that change is a two way street – it’s not just “those millennials” that need to step up. The author was very frank and honest about even his own initial feelings towards the Y generation. He “gets it” from both sides of the millennial issue and I admire his enthusiastic passion to make a difference to mentor our millennial generation. He shared stories that really resonated with me while giving me insight as to how it must feel to be a millennial in the workplace. Often, they feel left out of meetings, segregated from their leadership, or not given the big picture. It makes it tough to succeed. Chasing Relevance is peppered with creative statistics and engaging graphics that quickly sum up Dan’s points regarding generational gaps or public assumptions. Moreover, the book flows very quickly and engages the reader chapter after chapter. The book satisfied my visual side with meaningful pictures and the layout of key points. The word millennial is thrown around so much today that you would need to be a cave dweller not to have heard the terms and assumptions regarding this generation. I encourage you to pick up Chasing Relevance by Dan Negroni to truly understand who the millennials are, what they stand for, why they annoy some people, and how they will be our future. Most importantly, you need guidance for accepting them and understanding their point of view and work style so that you can step up to the plate and mentor, guide, and lead the millennial generation to be effective and empowered leaders. We all have a stake in impacting the future so please pickup Chasing Relevance today to make a difference for the leaders of tomorrow! I’m a leadership geek and live to see people find their special “gift” and use it to impact others and personally succeed. Find Your Voice as a Leader by Paul N. Larsen is my dream book for seasoned and new up and coming leaders. I wish I had this book when I was just starting out in the world and especially when I was managing women who had little confidence in themselves and were timid in speaking up. They had the education, skills, and gumption yet, never had the voice to engage and speak their thoughts or opinions. Values - You need to discover your core individual leadership values and live them. Outcomes – Become comfortable in creating a vision to achieve the outcomes that you are committed to. Envision goals before jumping into a project or plan. Influence – The only way to develop credibility and respect is by building relationships through influence. Courage – Leadership is hard and you will be challenged. You need to learn to be comfortable taking a stand and fighting for what you feel is important. Become comfortable with being uncomfortable and being questioned. Expression – Communication is a key leadership skill. Be an advocate for yourself in building skills so that you can communicate your goals and ideas to others with confidence. Paul’s VOICE model really resonates with me and is an effective framework for growing your leadership skills while having the confidence to share your vision with others and earn their buy-in to your ideas. The model revolves around you and your values which are the foundation of your personal base. From there you determine where you are going and how to bring others along through influence. You need to develop a thick skin and be willing to stand up for your beliefs while being an effective communicator. Paul structured the chapters in this gem around the 5 element of VOICE. He shares impactful thoughts, ideas, and questions to ask yourself in each chapter. Paul’s writing made me feel like he was sitting next to me offering ideas and advice while guiding me to developing better leadership skills. The book kept my interest and I became introspective about my own skills and where I need to grow. I’m a visual person and I jumped right into Paul’s case studies that he shares in each chapter. The cases really bring Paul’s ideas together and enabled me to better understand each element in VOICE in action. I learn from the ideas and mistakes of others and the case studies effectively illustrated each element and its impact. At the conclusion of each chapter Find Your Voice as a Leader offers questions and encourages deep reflection to ask yourself about each element. There is ample room to record your thoughts and I encourage you to do so. Use this book as a learning and development journal as you embark on your journey to become a better leader. Questions like “What are my strengths? Talents? Abilities?” will urge you to pick up a pen and start journaling or bulleting areas to focus on. Paul contrasts two leadership styles in every chapter. The “Which Leader Are You” section at the end of each chapter shows a stark contrast between an effective leader and the leadership style we all run from. I think that copying the two styles and hanging it up on your mirror to view every morning would be so influential to start your day off right. For instance, reading the list of qualities a “Leader who lives their values” will inspire you to remember and build on your values for the week. Change the list out and rotate in the next list every week. You may want to add additional weekly list to your mirror for growth. Paul shares vital “Declarations” for each of the elements of VOICE at the end of each chapter. The declarations will help guide your thoughts and actions while keeping you on the path to leadership success. If you feel yourself veering from your values or how you influence, go back to Paul’s lists and remind yourself of what is important. Find Your Voice as a Leader offers an activity for you to focus on each 5 days of the week. Align each V-O-I-C-E element to a specific day to focus on and make it a consistent daily practice. You will be surprised how quickly you keep your leadership development in the forefront of your mind and how you grow week to week. Try it! If all of the exercises and thought provoking activities at the end of each chapter aren’t enough, Paul offers some journal pages for your thoughts, notes and ideas. I recently started a Bullet journal and carry it with me. I can easily see me carrying Find Your Voice along next to my journal for further growth and reflection. Paul wraps up the book with a critical chat about EI – Emotional Intelligence. We all need EI to some degree and it is a lacking quality in many leaders today. Leadership is never about yourself – it’s about others. You must be committed and live with empathy, encouragement, empowerment, and inspiration. In his leading style, Paul offers some key questions to coach you in assessing your own EI or that of those close to you. I encourage you to take the time to reflect on your EI and see where you have skill gaps. Clearly, I was very inspired and enjoyed Find Your Voice as a Leader. It was a welcoming journey through building, influencing, and standing up for leadership – my leadership. Again, this book is a gift to anyone who has wandered off the leadership path or is a young leader. So many young people would benefit from learning about being leaders the “right” way not by watching those that “think” that they are leaders. I strongly encourage you to pick Paul N Larsen’s book today and start your own leadership journey or mentoring someone close to you! Effective leadership can be very elusive. True leaders are few and far in between. The world is rapidly changing and not enough organizations can keep up. Even more daunting is the lack of leaders ready to take the helm of departments and companies. In order to react quickly to change and remain viable, companies need to focus on growing leaders internally to lead the organization externally. Management can’t rely solely on tools, technology, training programs, and set processes to groom leaders. More emphasis needs to be placed on rethinking existing tools so that people aren’t thrown into training programs then into a position they may not be ready for. There needs to be some energy behind approaches to readying leaders. Moreover, organizations have the responsibility to keep the energy and momentum moving. Existing leaders should make succession planning a priority with the goal of acting more quickly and with precision to grow leaders that can easily swing into positions to address the business needs and challenges. Leaders Ready Now Accelerating Growth in a Faster World by Matthew J. Paese, Audrey B. Smith, and William C. Byham is a very effective tool for CEO’s and talent teams to include in an overall assessment and plan to not only ready leaders, but accelerate the leadership growth of key individuals. Leaders Ready Now is geared more towards the executive suite and top talent management folks. There are nuggets that small business owners can glean particularly as an organization grows. This book is packed very full of detailed tools, strategies, graphs, and program examples. The appendix is rich with additional tools and suggestions for growing leaders more quickly so that they can transition into leadership positions with barely a ripple. With so many details and rich content, this book is really more of a text book for leadership and will require patient reading to note all of the gems buried in each chapter. The authors provide valuable details about talent reviews, assessments and the need for growth learning and challenges. Business needs to not just provide leadership development but clear learning assignments supported by coaching and mentoring. Training and throwing people into leadership positions will only weaken the organization over time. We just can’t afford to manage leadership development like so many companies have for years. We need new approaches, more coaching and mentoring while a leader is learning. Success will demand an emphasis and commitment to accelerated growth in bringing on leaders ready to make a difference. 1. Commit: Adopt (leadership) acceleration as a business priority. 2. Aim: Define leadership success for your business context. 3. Identify: Make efficient, accurate decisions about whom to accelerate. 4. Assess: Accurately evaluate readiness gaps and give great feedback. 5. Grow: make the right development happen. 6. Sustain: Aggressively manufacture the energy for growth. Each of these imperatives is detailed throughout the book. Concrete and detailed information, strategies, plans, and examples are shared to enable senior leadership to move forward in developing leaders that are not only ready to lead, but energized. My favorite aspect of Leaders Ready Now is the authors focus on not only energizing leadership but maintaining the energy long term. The key to growing great leaders is indeed energy. Lacking this, all the tools, processes, and plans will fall by the wayside and an organization will drift back into the “old” methods of preparing leaders to bring companies into the future to compete and grow. 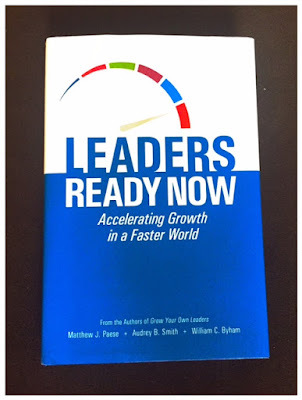 If you have a hand in selecting, growing, and mentoring leaders in your business you will gain insight and an increased appetite for accelerating the growth of upcoming leaders in your business and coaching them to be ready by reading Leaders Ready Now. Again, this book is chocked full of detailed information in a text book type format and may be a bit heavy for the small business owner. Nonetheless, this book is a wealth of knowledge and will appeal to anyone who is passionate about leadership and growing people. Are you ready for a new kind of magazine? One that will offer fresh ideas and new approaches? Ready to make your team leaders in the industry by putting people first? Here are some thoughts on a new resource to assist you - Chief Talent Development Officer magazine. Here is a guest post by Ann Parker. Are you tired of reading about other organizations’ stories of success (read: seeming perfection) because you simply cannot relate? How is “Company A” able to pull off a huge leadership development program for high-potential employees with such ease, but you can barely convince your COO that your company should invest in its rising stars? Sure, best practices from such case studies can be valuable, but if you cannot apply the principles in your organization, these stories can have very little practical impact. · What was the program, initiative, or issue you were trying to solve? · Why didn’t it work? · What lessons did you learn, and what would you do differently? You will find authentic accounts of real-life, high-pressure situations involving great risk and even failure. In the Winter 2015 issue, Mary Slaughter expounds on the difficulties new executives face when they join the ranks of a senior leadership team. And in the Spring 2016 magazine, Karie Willyerd explains that not everything was a glowing success for a new leadership development program she implemented, but lessons learned helped to improve future program designs. 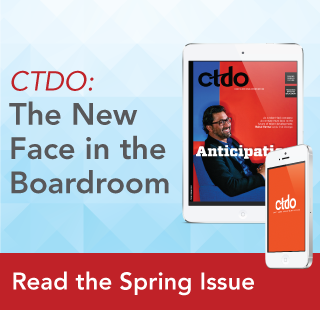 Check out the latest issue of CTDO magazine for realistic stories and relatable lessons from your peers. Ann Parker is manager of the Human Capital Community of Practice and the Senior Leaders & Executives Community of Practice at ATD. Prior to this position, she worked at ATD for five years in an editorial capacity, primarily for TD magazine, and most recently as a senior writer and editor. In this role, Ann had the privilege to talk to many training and development practitioners, hear from a variety of prominent industry thought leaders, and develop a rich understanding of the profession's content. Visit Chief Talent Development Officer Magazine. Got pain? You can stop it! I am a chronic allergy suffer who has gone through two rounds of allergy shots with minimal success. The joke is on me because I am allergic to everything green and I am a Master Gardener. Moreover, I come from a line of back pain sufferers which doesn’t exactly help me when I am outside digging and moving plants in my garden during the warm months. It should be no surprise when I share that reading Every Body’s Guide to Everyday Pain by Ya-Ling J. Liou, DC was exactly what I needed to better understand the source of my pain and how to influence it so that I can go about my everyday life. Liou is an experienced chiropractor and teacher. She understands pain and applauds natural methods for fighting back at pain. Chronic pain is widespread in the U.S with so many of us never getting to the real source of our pain. Like me with my allergies, we just “deal” with it on a daily basis and spend exurbanite amounts of time and money on doctors and medicines we probably don’t need. Every Body’s Guide to Everyday Pain does an outstanding job of explaining pain and the anatomical processes through layman terms, comics, and pictures. She shows us that pain is the “body on fire” from inflammation and teaches us how to “cool the fire” by methods that help “fire-proof” the body. Liou’s book is the first of 3 volumes to address human pain and after reading this book, I look forward to the next two volumes! This book focuses on three primary segments; why does it hurt? How can I make it stop? How do I keep it from happening again? Each segment offers a deeper understanding of pain and how we can all control our pain if we just take the time to understand and prevent it. Running to the doctor for medicine is a short term fix. As complicated as the human body is, we need to dig a bit deeper for pain relief. Why does it hurt? Pain is our own built in warning system. It’s the only way that we learn something isn’t right and we need to act. Pain is caused by irritation and then inflammation. Inflammation makes it feel like your body is literally on fire. You know the feeling, move wrong and you are suddenly doubled over in pain from what seems like no reason. If you understand what triggers pain you may be able to actually get out in front of it. Below are the 3 types of pain triggers. · Mechanical – compression, lengthening of the muscles, and tension. · Chemical – the body is slammed by cellular waste or by products. My allergies are a clear example of chemical pain. My sinus headaches and thick throat are very real almost year round. · Emotional – how do we react to pain and try to fight it. How do I make it stop? I must ask myself this a million times in a year especially when allergens are floating about. In order to stop pain you need to find out what is causing it. I know some of my key pain triggers so I trying to avoid them when I can. Do you have a cat? I wouldn’t be the best house guest if you do. By finding the source you can identify the fire and douse it. Ya-Ling Liou shares numerous natural ways to find your pain and release it by laying down, changing how you move, changing key positions, and stretching. No medicine needed and she has a plethora of images and photos to help you find the right moves. How do I keep it from happening again? Ultimately you need to make yourself “fireproof” to pain. By being proactive you may be able to prevent inflammation from building up and turning into that nagging knee or back pain that has plagued you in the past. There are three effective ways to do this. Ready? · Physically through body mechanics. The body needs to remain in motion BUT it needs to be in a natural and healthy manner. Liou illustrates the proper way to move to prevent injury and inflammation from building up. This chapter was one of my favorites because there are outstanding pics to show the proper way to reach for things, best way to pick items up, how to sit , and even how to turn your head to prevent injury. I quickly noticed that I move in all the wrong ways and can see why I may get aches and pains. · Chemistry. This concept fascinated me because of my severe allergies. Any imbalance in the chemistry of the body is bad news. The body can develop an imbalance of PH which spells trouble. A gradual buildup of inflammation can sneak up on you. Fight or flight hormones can wreak havoc. My body is guilty on all three counts and I better understand how I can combat the chemicals. · Emotions and mindset. It’s no surprise that the mind can rule the body. When I become stressed my stomach acts up or I grit my teeth. Once that happens I need to try to take my mind off whatever is stressing me and fight off the stress. You need to protect your brain in order to “fireproof” your emotions and mind. Luckily it’s easier than it sounds and no medicine is needed. The key? Exercise and sleep are the body’s best stress fighters. They can offer up a firm punch and help the mental and physical effects of stress. In order to impact your outlook which fights pain, continually focus on developing a strong self image and positive world view. Your mind rules your body and you know exactly where to start. What I love most about Every Body’s Guide to Everyday Pain is the practical, natural approach to identifying your pain and taking control of your pain before it controls you. The approaches that Liou offers are intuitive and address the key areas of the human body. She reminds us how powerful our bodies are and encourages us to retrain our physical and metal movements for better health. If you suffer any pain at all or find yourself pulling muscles just by moving, this book deserves a permanent spot on your home bookshelf. Pull it out to regularly remind yourself how to identify your pain and stop it before it impacts your life.